The Pine Grove and White Pine cabins for rent on White Iron Lake near Ely, Minnesota are perfect for large families needing two cabins. 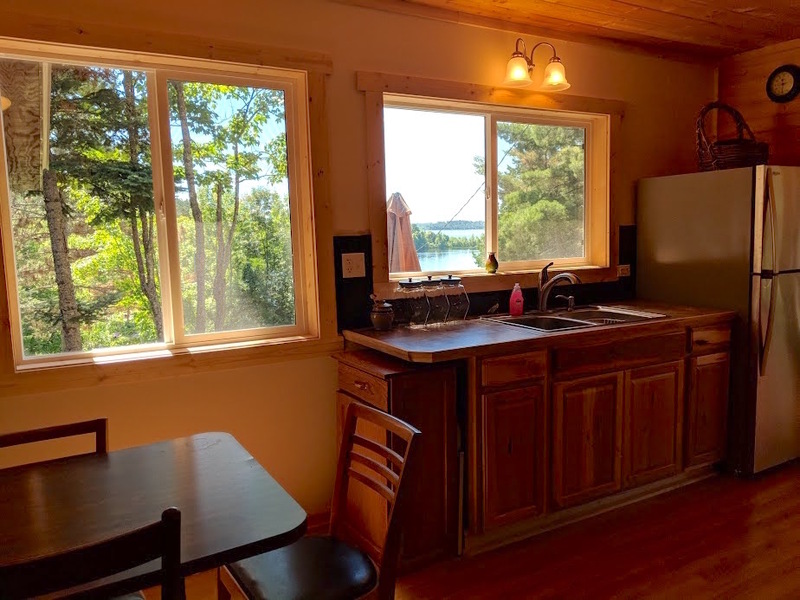 The Pine Grove and White Pine cabins overlook the lake and North Woods with an especially beautiful view from the living rooms and the decks on each side. Perfect for families needing two cabins. Or cozy up in a quiet, lake view cabin of your own. Each side of this half-log sided duplex has large bedrooms, full kitchen, full bath and free Wi-Fi. Nature sounds, fresh scent from the surrounding white and red pines, lovely gardens and family fun are complimentary. Ceiling fans in kitchens and bedrooms in both cabins. Dining room and living room fans in 21. Pine Grove Cabin 20 and White Pine Cabin 21 are rented through our neighbor, White Iron Beach Resort. To reserve this cabin or to check availability, click on Check Availability below. For more information, click the Information/Reservations link at the bottom of the page. You can also email Sandy or Kerry at info@whiteironbeach.com or call them at (877) 665-4885 or (218) 365-4885. Ask for Cabins 20 and 21!